In September 1984, Alec Jeffreys viewed an x-ray film image of a DNA experiment and realized he had made a breakthrough which would allow individuals to be identified by the DNA fingerprint. This breakthrough had a major impact on forensic science. 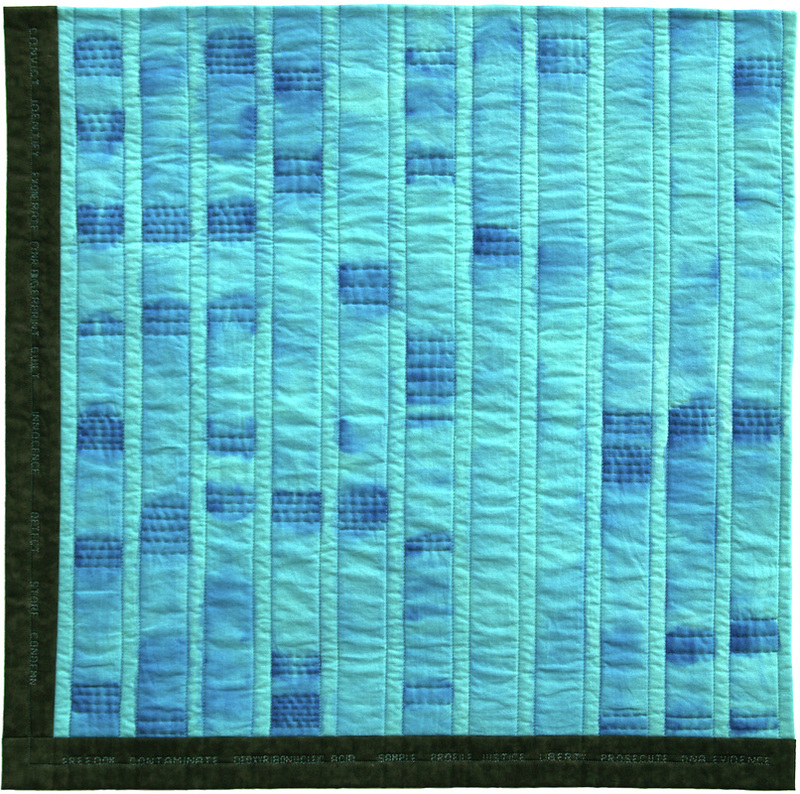 My quilt is based on an image of the first DNA fingerprint held by the Science & Society Picture Library. I hand dyed the main fabric and then used acrylic fabric paint to create the bands. The quilt sandwich was created and two sides sewn together so that the quilting could extend unbroken right to the edge of the piece. Machine quilting the columns of bands and hand quilting the important individual bands, I then bound the left hand and bottom edge of the quilt in the manner of a scientific graph axis and quilted words that are now associated with the technique of DNA fingerprinting. Hand dyed fabrics, painted. Machine stitched words. Hand and machine quilted.